Such a busy month in Bordeaux, this January, just when everything should have been so quiet. The primeur polemic has already started - it gets earlier every year - the Chinese have bought their first château – Disney like and a bargain to boot – and left bank Poujeaux was sold to the owners of right bank Clos Fourtet. The primeur polemic usually kicks off in February with négociants calling for, in recent years, a 40% reduction, minimum, on last year's prices. Then the châteaux owners all say it is way too early to talk about prices, before anyone has even tasted the wine, and then the négociants fling up their hands and say, more or less, that taste doesn't matter given the dollar/the market/the prices last year etc. etc. And so it goes. This year however, it all started in early January and it's gotten a bit personal with two heavyweights, both French and one from the very heart of Bordeaux, calling the primeurs, respectively, mad and immoral. 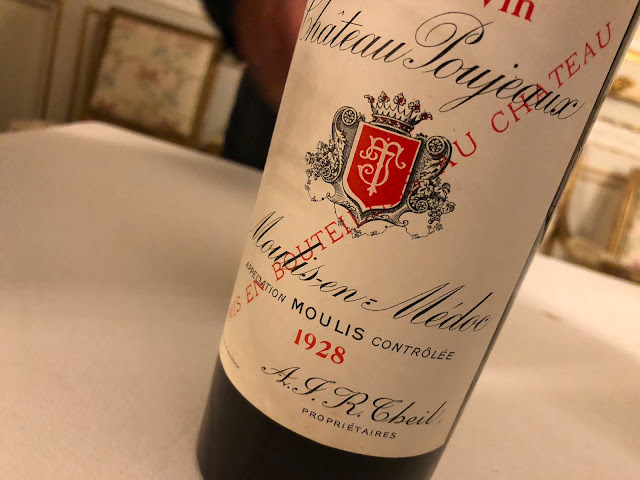 The mad comment came from former Pétrus winemaker, Jean-Claude Berrouet, who said, wisely, that wines needed to be judged over time, and not in "a moment of madness", i.e. during the primeurs. Berrouet also said the increasingly speculative nature of the primeurs was "a disaster for wine", which has turned it into a hostage. Hmmm. Set a wine free tonight, I suggest. And make it the best. The second major attack came from, of all people, Alain Dominique Perrin, former head of luxury group Richemont – the one that owns most things including Cartier, Van Cleef & Arpels, Montblanc and so on – who said if there was any morals in the wine world the top 2007 wines should cost 100 euro en primeur. Well dream on. He also claimed that the cost of production of a bottle of premier cru was about 12 euro! I have asked several people at several top châteaux about this and the only response so far has been silence or no comment. Can there be any truth in it? Investigations continue. While all this was going on, a Chinese company – Longhai International Trading Company Ltd. – was quietly wrapping up the purchase of Château Latour-Laguens in Entre-Deux-Mers. The 60 hectare estate, 30 of vines, described as 'Disney like' in its prettiness, went, the agent hinted, for something in the region of 18 to 20,000 euro per hectare. Nice one guys. Longhai by the way, means Dragon Mother, and that was the week after no one at all bid for Château Badette, eight hectares or so in St Emilion. Reserve price was two million. So it just goes to show, it's not all location, location, location, a lot depends on who has the cash and what it is that they want to do with it. The aim of buying Latour-Laguens was, agent quote again, "to get a foothold in one of the best known wine growing areas in the world." Well Mother Dragons do say nice things like that, probably, before they blow a neat gust of very hot air across your bows. Finally, in terms of buys, and it wasn't really January rather February 1st, but anyway, the owners of St Emilion Clos Fourtet, the Cuvelier family, expanded from right to left, unusual in Bordeaux, buying Château Poujeaux in the Médoc. One hundred hectares, 70 of vines, for the undisclosed price of between 30 and 40 million euro. As I said, a busy month. I can’t believe it. I am in shock.